Michael C. Van Berkom is a partner in Fishman, Carp, Bescheinen & Van Berkom, Ltd. He has dedicated his practice to helping those who have been injured through the negligence of others. 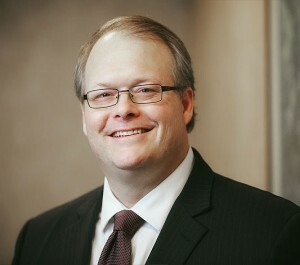 Mr. Van Berkom has a reputation as a skilled Twin Cities trial attorney with a longstanding track record of success in favorably resolving cases for his client through trial, arbitration, mediation and negotiated settlement. He has also successfully appeared before the Minnesota Court of Appeals and the Minnesota Workers’ Compensation Court of Appeals on numerous occasions, preserving favorable verdicts for his clients. Mr. Van Berkom is a member of the American Bar Association, Minnesota Bar Association, American Association for Justice, Minnesota Association for Justice, and the Hennepin County Bar Association. He is licensed to practice in state and federal court in both Minnesota and North Dakota, and was admitted to practice in Minnesota in 1994 and North Dakota in 1995. While in law school Mr. Van Berkom was a member of the Hamline University Law Review, two time Civil Rights Moot Court participant, and was named to the Dean’s list on multiple occasions including his final semester when he achieved a 4.0 GPA. Mr. Van Berkom primarily practices in the areas of personal injury and workers’ compensation, including catastrophic injury cases, wrongful death, motor vehicle collisions, medical malpractice, dram shop, slip and fall/premises liability, dog bites, and products liability.